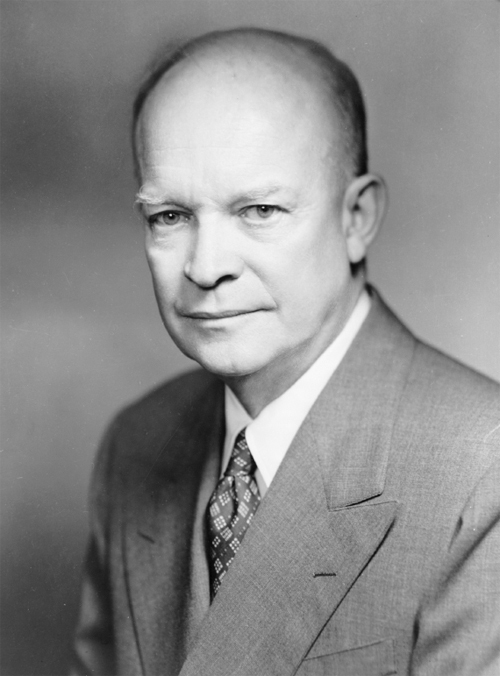 What famous clash did Eisenhower have with a governor over civil rights? Eisenhower sent in federal troops to ensure that Arkansas governor Orval Faubus would not attempt to block nine African American students from attending the previously all-white Central High School in Little Rock, Arkansas. In the wake of the Supreme Court’s desegregation decision in Brown v. Board of Education (1954), the city school board recognized its obligation to desegregate. However, Governor Faubus used the Arkansas National Guard to block the school to prevent the integration. He did this in defiance of a federal court order mandating integration. Eisenhower met with Faubus personally and came away from the meeting thinking that Faubus understood he must not defy a federal court order. However, days later Faubus defiantly refused to agree and said he would support segregation. Eisenhower then sent in federal troops to ensure that the “Little Rock Nine” could attend Central High. Federal troops from the 101st Airborne Division surrounded the school, controlled the crowd, and ensured integration. Eisenhower told his U.S. attorney general Herbert Brownell to use force if necessary to save lives and ensure integration.